Today marked the first day of Fire Prevention Week in Windsor. 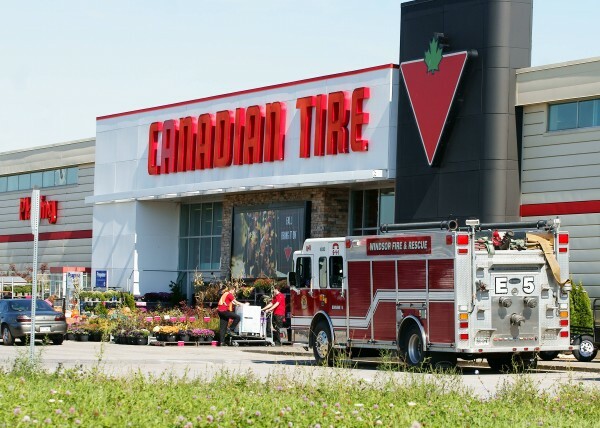 The theme of this year’s Fire Prevention Week is “Protect Your Family From Fire.” Today Windsor Fire and Rescue is at the three local Canadian Tire stores offering fire safety tips and letting kids explore the fire trucks parked outside. Today’s event was just one in a number of events planned this week to raise public awareness about the importance of working smoke alarms. Other events include tours of local fire halls, and the fire chief dropping the puck at Thursday’s Spitfires game.